Proving once again that Blizzard can be amazing at storytelling, even if they consistently fail to implement it in their games. The short story Bastet provides a little bit of a backstory for Anna, Jack (Soldier) and Gabriel (Reaper), the trio that used to do Overwatch things together before Gabriel fell into a vat of acid (or something to that effect), and sets up the situation for future events. Which brings me to the difficult issue: the storytelling divide between Overwatch as a game and supplementary materials that are honestly pretty awesome. Overwatch is in a… weird spot, narratively speaking. These characters are absolutely great and the game does an amazing job at characterization, not just by visuals but with quotes, poses, reactions and all the little things that make them instantly recognizable outside of the game world. But without any kind of plot to the game itself, all of that effort seems wasted. Like in Bastet, the reveal of Soldier’s sexuality is pretty tasteful. 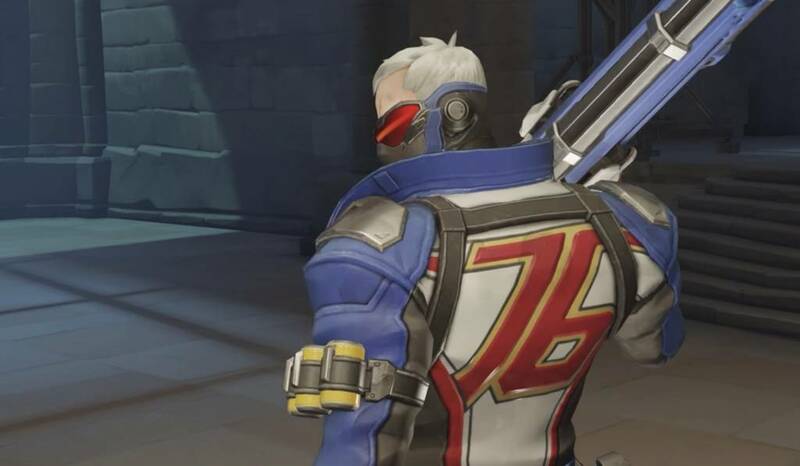 I would say shockingly tasteful, but Overwatch got a fair bit of flack over the years for doing it wrong, so the least they can do now is do it right. The character’s sexuality is not paraded front and center (though I have a sneaking suspicion it would be different if he wasn’t a man), but it is acknowledged and then we move on, after lingering on it for a bit to use it as a framing device for some edgy quotes (“normal life was never a reward for people like us”- who says that?) and characterization. Good, that’s pretty solid storytelling! Unfortunately, even then this is mired somewhat by the larger setting being as stereotypical as it is, with cyber camels, Russian weight-lifter muscle girls (which is NOT a dis, I LOVE Zaria!) and supremely awkward analogy for civil rights movements via Omnics being the discriminated against lower racial class (this one IS a dis). Which… admittedly an argument could be made that’s comic book aesthetic for you. I suppose the takeaway point from all this, is that all this great material is being wasted on a marketing strategy, while it could be an amazing addition to a game. But who knows, maybe all this is leading up to something, maybe Blizzard will eventually release that spin-off Overwatch game with an actual plot. Maybe. Credit where its due though, I like the way they handled the topic. Overwatch has become something of a symbol of striving for representation and diversity, not so much because it does it well (honestly in a world where Undertale and Gone Home exist, Overwatch can hardly be described as doing anything other than bare minimum), but because it’s trying to improve through the hard work of the developers, artists and writers. And I can’t fault them for that, I can only encourage it further.